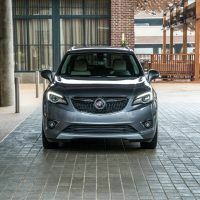 The 2019 Buick Envision has new styling cues, a generous number of features for the price, and an attractive interior trimmed in high-quality materials. 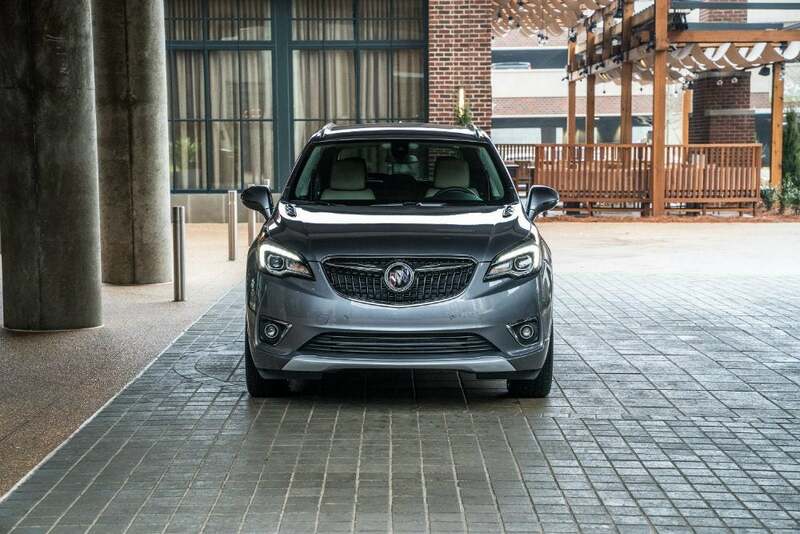 It slots between the smaller Encore and the larger three-row Enclave in Buick’s lineup. 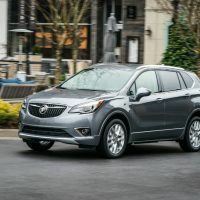 This weekend, we drove the top-trim 2019 Buick Envision Premium II with all-wheel drive. This model is powered by Envision’s newly-updated turbocharged 2.0-liter engine. 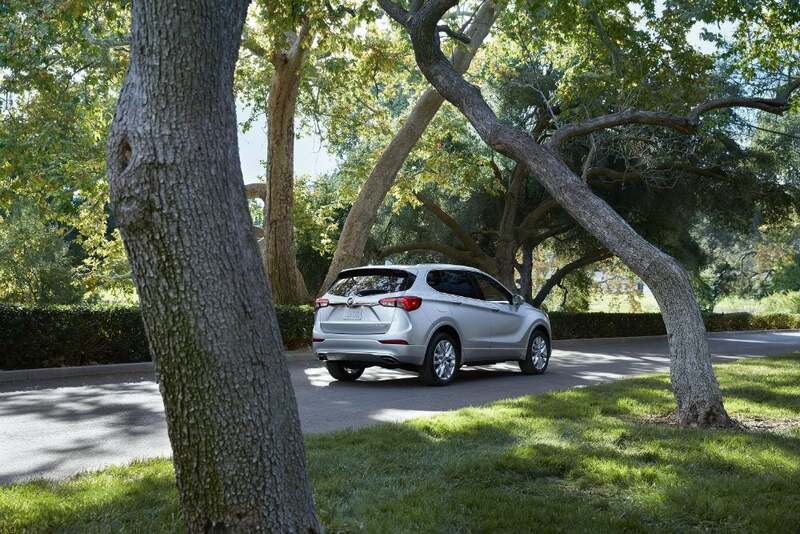 With this powertrain, the Envision is similarly priced to luxury crossovers like the Lincoln MKC and Volvo XC60. 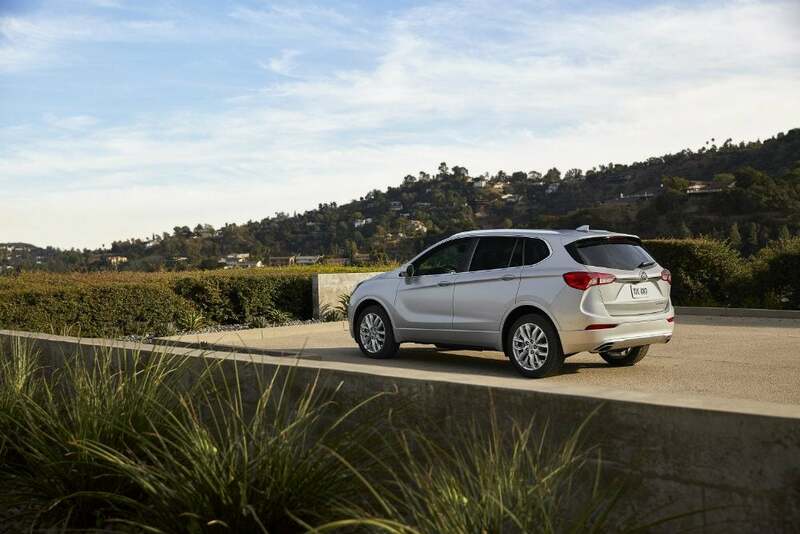 The 2019 Buick Envision comes with refreshed exterior styling, and packs a host of mechanical and technological upgrades. 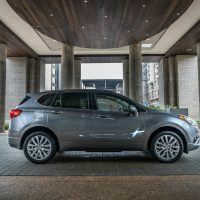 The 2.0-liter engine gets a significant bump in torque (up 35 lb-ft. to 295 lb-ft.) and is now mated with a nine-speed automatic. Inside, there’s a new wireless charging pad, greater visibility from the rearview camera, faster-acting seat heaters, and an in-vehicle ionizer for better air quality. 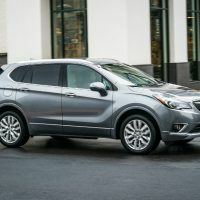 The Envision Premium II AWD ($43,600) comes standard with three-zone automatic climate control, leather upholstery, a heated steering wheel, driver-seat memory settings, heated rear seats, and blind-spot monitoring with rear cross-traffic alert. 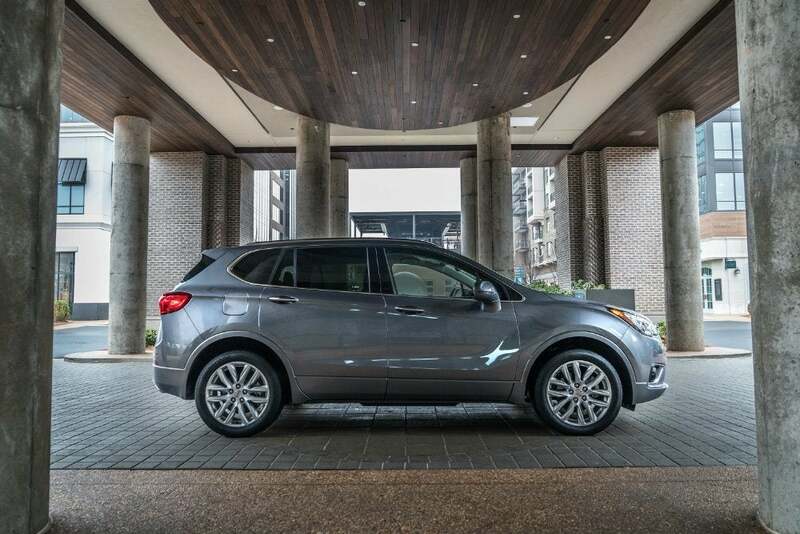 The Premium II trim also gets LED headlights, front parking sensors, automatic wipers, a larger driver information display, a seven-speaker Bose premium audio system, a 110-volt household power outlet, a forward collision alert system, and a lane departure warning and intervention system. 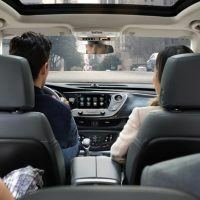 Additional features include automatic high beams, wireless charging, an automated parking system, navigation, heads-up display, an extendable thigh support for the driver’s seat, and ventilated front seats. 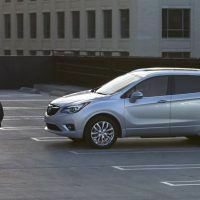 The Driver Confidence package ($1,545) adds adaptive cruise control, a top-down parking camera system, and a forward collision mitigation system with automatic braking. Aluminum 19-inch wheels ($1,895) and Panoramic sunroof ($1,495) rounded out the options. Total MSRP including destination: $49,925. Steeping inside the new Envision reveals a contemporary cabin with quality materials for the entry-level luxury buyer. The well-cushioned front seats are supportive for long drives, and the cabin is impressively quiet at highway speeds. We especially like the heads-up display making it easy to keep our eyes on the road. 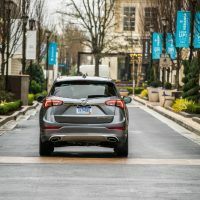 Buick’s IntelliLink is easy to use and the inclusion of Apple CarPlay and Android Auto makes operation even easier. Wireless charging is another nice addition. The eight-inch infotainment touchscreen sits high on the dash with easy-to-read graphics. Interior storage is generous, with plenty of large bins and pockets to hold your personal items. In the back, there’s plenty of space for three adults, and the slide/recline function kept our passengers comfortable this weekend. 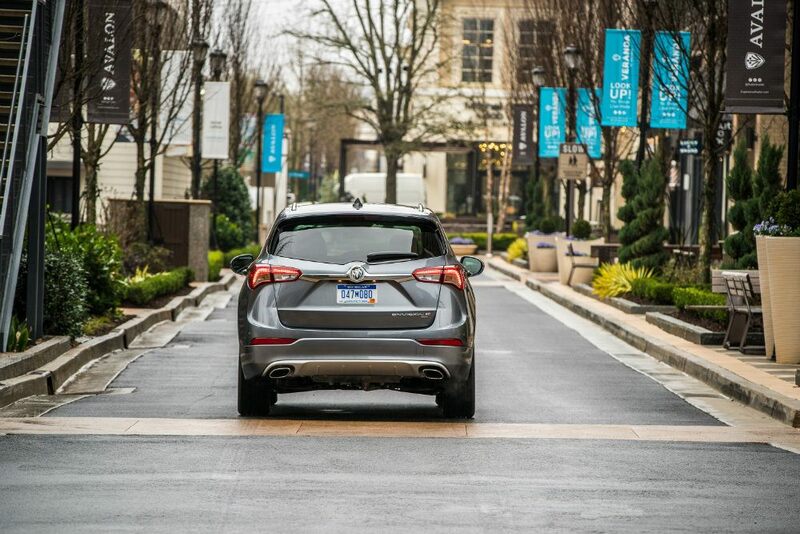 The Envision is a bit narrow, which you can feel in the rear seat. There’s 26.9 cubic feet of space behind the rear seat, and 57.3 cubic feet with the rear seat folded flat, numbers that contradict its exterior size. 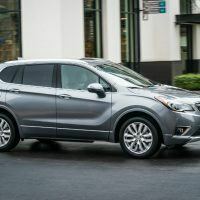 This Buick Envision tester came powered by the fun and confident, 2.0-liter turbocharged four-cylinder with 252 horsepower. It comes mated to a new nine-speed automatic, sending power to all four wheels. The turbo engine with all-wheel drive gets 20/25 city/highway and 22 combined mpg. The turbocharged engine delivers solid power and we felt it as soon as we pressed on the gas pedal. It’s enough to merge onto highways, and powered us up I-70 west of Denver at altitude without issue. Even with the bigger 19-inch aluminum wheels, there’s not much road noise. Envision’s strength is its excellent ride. We felt composed on the choppy dirt roads leading to our house. The all-wheel drive system on gravel roads offered plenty of grip, and we’re confident it would do the same in ice and snow. The system sends power to the rear when traction is needed, then splits it between the rear wheels for better cornering and control. We pushed it hard around the tight mountain corners and the Envision handled them with ease. 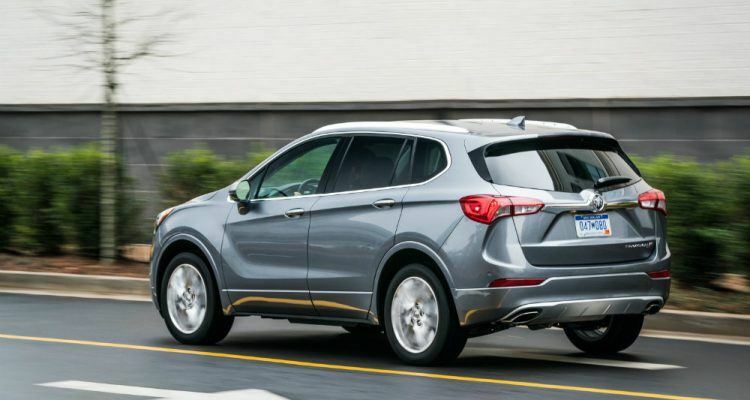 The 2019 Buick Envision is certainly worthy of a look as the automaker continues to evolve. It comes with a generous number of features with an attractive interior trimmed in high-quality materials. It’s easy to maneuver around town, has a decent amount of cargo space, and offers all-weather capability. 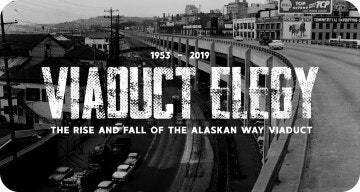 2019 Buick Envision Official Site. 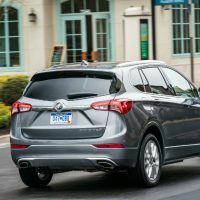 No Comments on "2019 Buick Envision Premium II AWD Review"